Our ceremony was unique and sentimental, and I know I will remember the feeling I had during it the rest of my life. 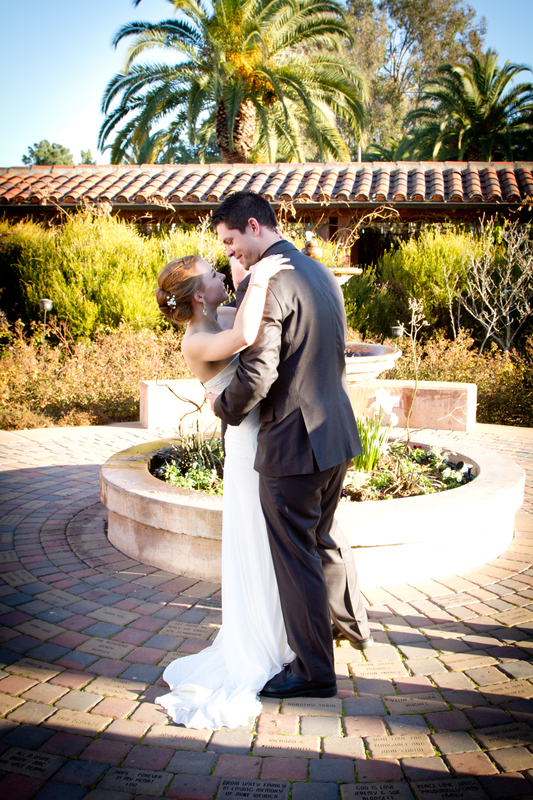 We chose our venue because it was a beautiful and intimate location for an outdoor ceremony. The church resembles a Spanish mission, and it has a courtyard in the middle covered in trellis’ and flowers, with a gorgeous fountain in the middle. 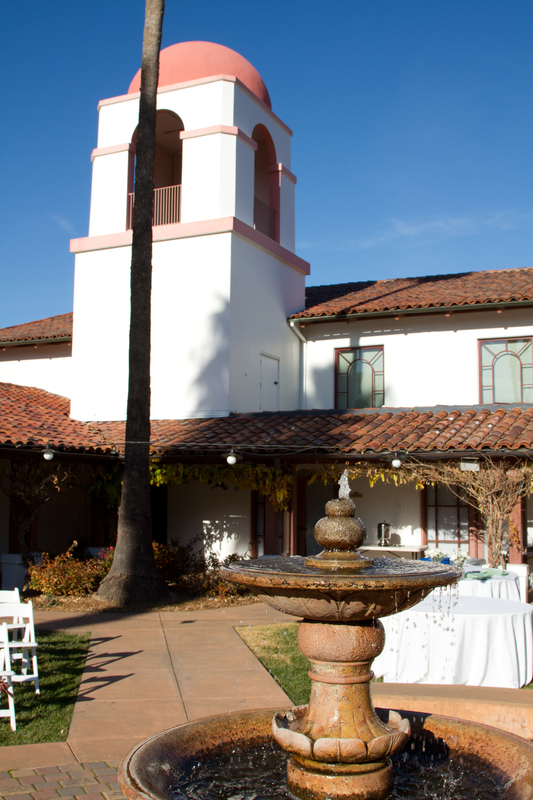 Since we wanted only our closest friends and family there, we knew the fountain would be a perfect place to have our ceremony and fit our 20 guests. When we decided to plan a small ceremony, one of the venues we were considering was San Francisco City Hall, which is absolutely beautiful. It was while I was looking through their website that I saw a person who is not a member of the clergy can apply to be “deputized” and perform a single ceremony. 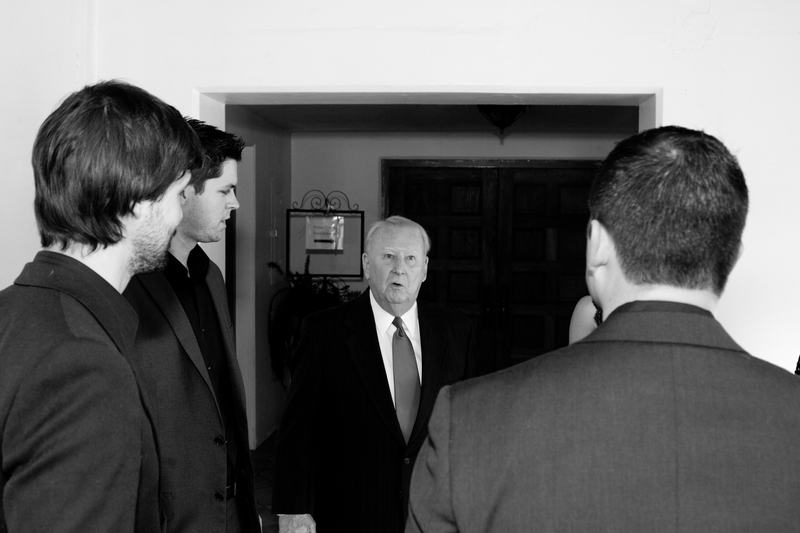 My dad is not a member of the clergy, but I knew it would be very special to have him perform the ceremony. I asked him a few weeks before the ceremony, not knowing if it was something in which he would be interested in doing. I could not have anticipated how excited he would be that I had asked him to perform the ceremony. He wholeheartedly agreed and put hours of effort into making it flawless and special. 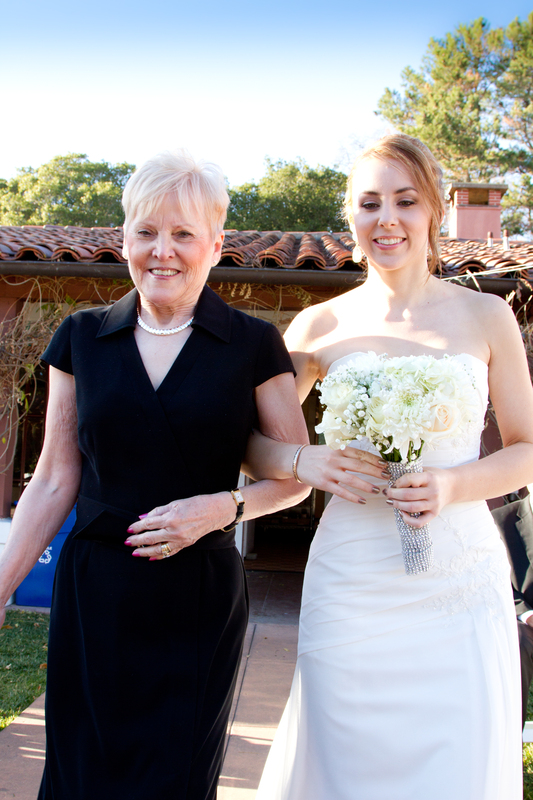 Since my dad was marrying us, I asked my mom to walk me down the aisle. It was such a nice way to incorporate both my parents into the special day. 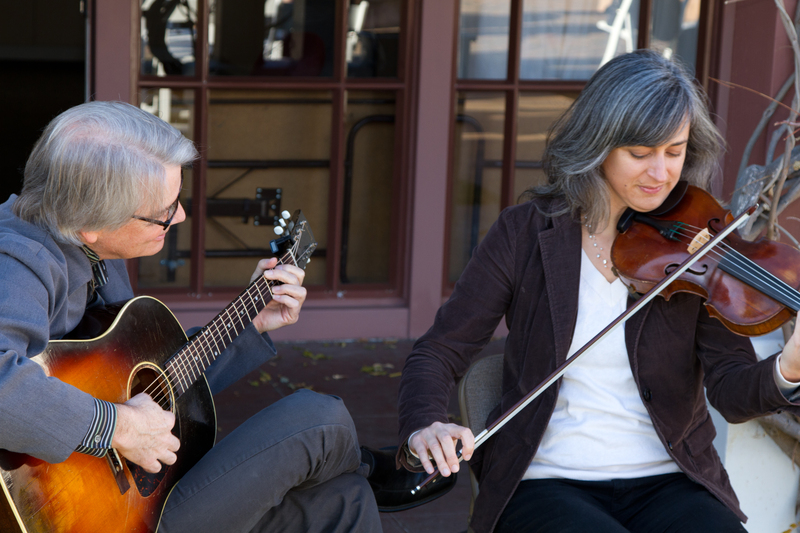 Two of my musician friends, Claudia and Scott, lent their talents and played the guitar and viola as my mom walked me down the aisle. My dad began the ceremony by telling stores from our childhood. He talked about how I was adventurous, energetic, and spirited as a child, and told how Brandon was a bundle of energy and curiosity. He then told about the early days of our relationship and read statements we had written about how we knew we had found the right partner. My favorite thing about our relationship is that we’ve taught each other how to be better partners. Every day we learn from each other, and we’ve worked hard at creating a beautiful relationship. I know that Brandon will continue to be committed to working at our relationship which gives me great hope for the future. We encourage and support each other and are true partners. I love that Brandon is thoughtful, caring, and sensitive. His affection is always heartfelt. He is intelligent and driven. He is endlessly entertaining and makes me laugh at least 15 times a day. He has an optimistic outlook on life that balances my own. Oh, and he’s definitely not hard on the eyes! After our first few dates, I soon realized this relationship had what I had been looking for. She saw past my quirks and was very understanding and supportive of my goals and hobbies. Everything was so natural, we could be ourselves together. She even laughed at all my jokes. I never wanted to be away from her. I feel this is what love should be like. I look forward to making her happy for the rest of my life. I promise to always treat you with kindness and respect. I promise to be faithful, honest, and fair. I promise to listen carefully to what you are saying. I promise to apologize when I am wrong and to repair any harm I have done. I promise to cook and clean for you. I promise to be your partner and best friend in the best and worst of times. I promise to bring my best self into our relationship. I promise to live these promises as a daily practice. We chose vows we felt represented a realistic marriage goal – to try to be the best partner you can be. I felt each word deeply as I spoke my vows, and I believe Brandon did the same. Before we knew it, my dad was pronouncing us husband and wife and telling Brandon he could kiss his bride! I couldn’t have asked for a sweeter, more perfect wedding ceremony. It was simple, personal and completely reflected Brandon and I as a couple. The fact that my Dad performed the ceremony and told personal stories from both sides of our families made it that much better! Welcome to My Happy Place! On my little corner of the blog world I chronicle my shenanigans with my fiancé, puppy, friends and my journey as I try to find a happy balance between love, fun, work, health and fitness.